These chocolatey paleo cocoa cookies are like those big tasty cookies that you see at coffee shops that are just begging to be dipped into a cup of tea or coffee! 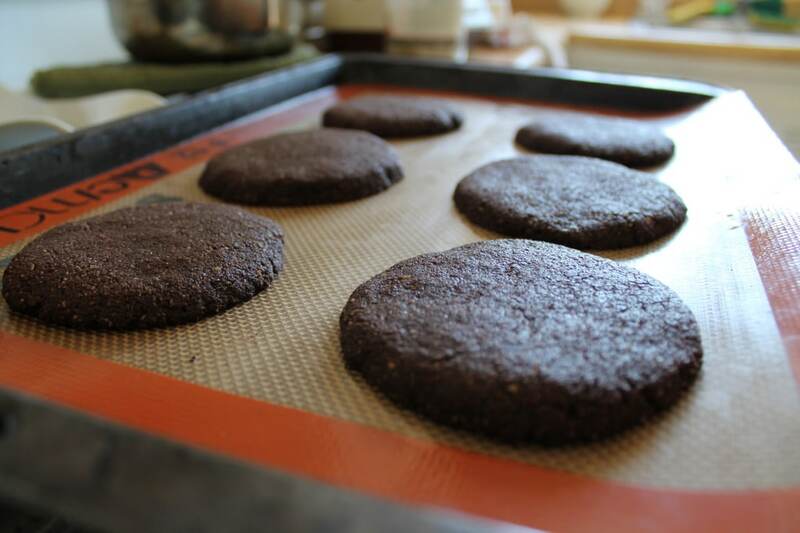 These are grain-free and have a nice soft texture. Enjoy! 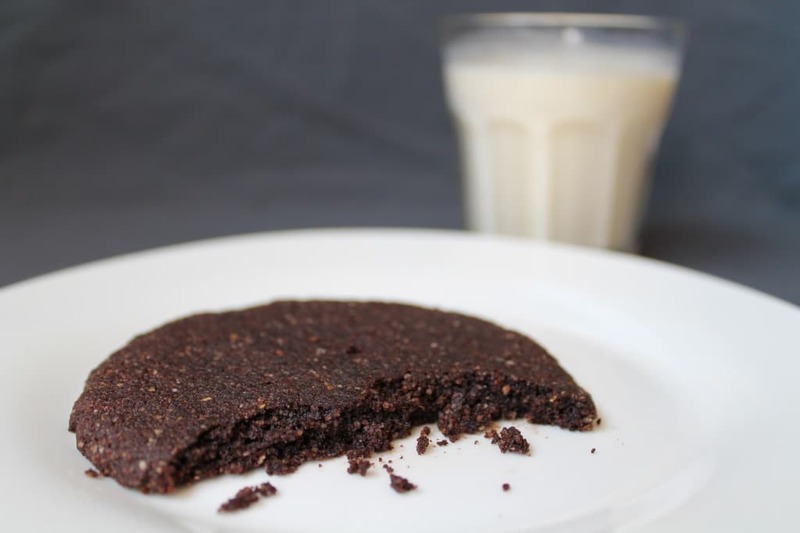 These paleo cookies are a great easy recipe to make when you feel like throwing something together quick. They take less than 30 minutes. You can basically throw everything in a bowl, shape them and bake. Then you are ready for a tasty sweet treat with your coffee, tea or milk! Pre-heat oven to 350°. Combine ingredients in a bowl or mixer/food processor. Make sure that the coconut oil is melted (76°). Shape dough hunks into balls and flatten and form into large circles on a cookie sheet lined with parchment paper or a silpat (I always use a silpat for baking, it makes for easy cleanup and is reusable). Bake for about 6-9 minutes. Cookies will be firm. 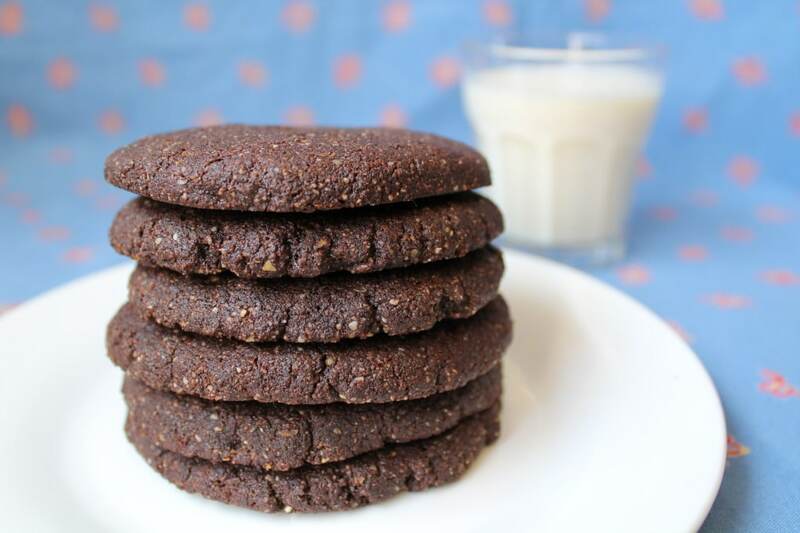 You can use these cookies to make a dairy-free ice cream sandwich! Click here to see the ice cream sandwich recipe! Coconut sugar ha a low glycemic index do yes they are diabetic friendly. I just made these. So good. Thank you! I wondered if there was a substitute for the ground flax meal? Do you think 1/4 cup more of almond flour work? Thanks! Can I sub flaxseeds with chia or hemp seeds? You can try to sub the flaxseed with equal amount of ground chia seeds. It may not turn out the same though. 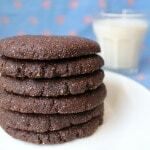 I have all of the ingredients on hand….my kids are sure to love these…any hubby too. Thanks! Would substituting c sugar with honey work in this recipe? The taste is great and loved that they were easy to put together, and made with ingredients I had on hand. The texture was super crumbly though; not necessarily dry, but just didn’t hold together whatsoever.